It’s a girl! 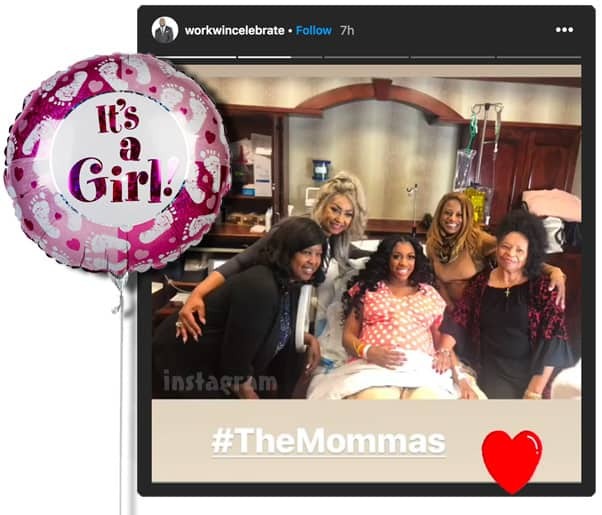 The Real Housewives of Atlanta star Porsha Williams gave birth to her daughter earlier today, the first child for her and fiance Dennis McKinley! “What a time to be alive! Porsha and I are so happy and blessed to announce the arrival of our daughter, Baby PJ,” Dennis told People. “We couldn’t have imagined a more magical moment! 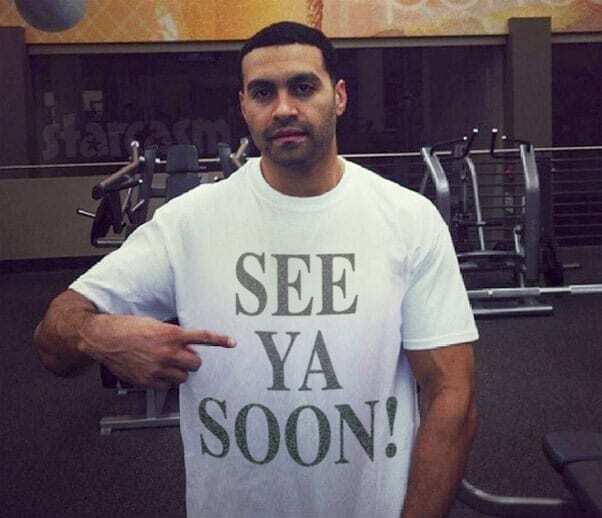 Can’t thank everyone enough for joining us on this journey-it’s been a fantastic journey,” he added. Baby PJ was born on Friday, March 22 at 1:36 p.m. She weighed 6 lbs., 15 oz. and measured 20 inches long at birth. 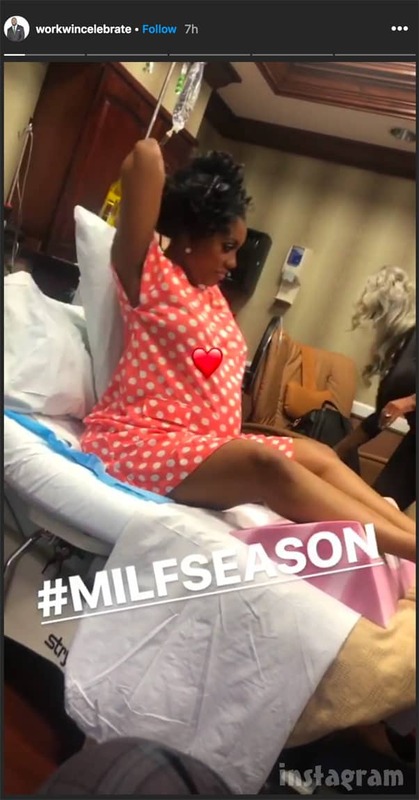 He then posted a photo of Porsha with her delivery room ladies in waiting, which is included at the top of this post. As far as what Porsha’s daughter’s name will be, that is still a mystery. 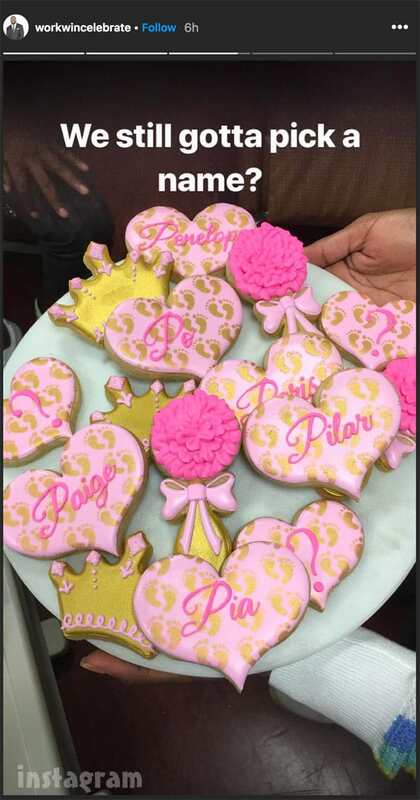 Although they have obviously decided on initials, Dennis teased his Instagram followers with a photo of numerous cookies, all with girls’ names that begin with the letter “P,” and he wrote: “We still gotta pick a name?” The names included Penelope, Po, Paige, Paris, Pilar, and Pia. Congratulations to Porsha and Dennis! 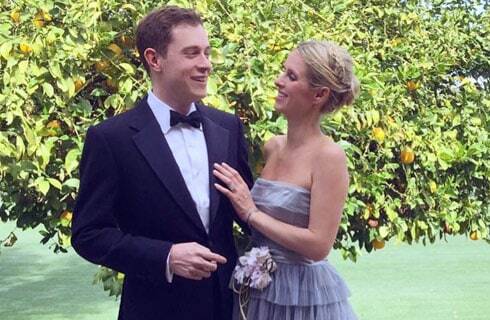 We cannot wait to see more of little PJ!